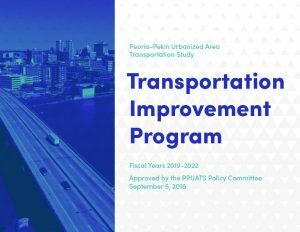 The Long Range Transportation Plan (LRTP) is an important document that serves as a guide for the future development and maintenance of the Peoria-Pekin Urbanized Area transportation system. The document covers a 25-year period and identifies current and future needs based on population projections and travel demand. The plan is updated every five years to reflect the changing dynamics of the region. Projects must be included in the LRTP to receive federal funding. 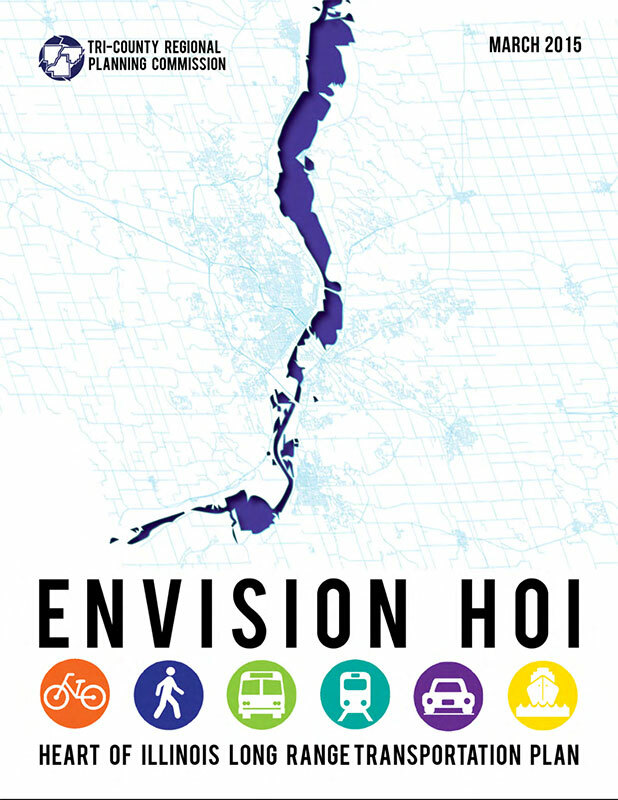 Envision HOI: Heart of Illinois Long Range Transportation Plan was adopted by the PPUATS Policy Committee in March 2015 and identifies transportation needs in the PPUATS region out to 2040. As the Metropolitan Planning Organization (MPO) for the Peoria-Pekin Urbanized Area, TCRPC is the lead agency responsible for developing and maintaining the region’s LRTP. In addition to TCRPC staff, the LRTP planning process is led by the PPUATS Technical Advisory Committee. The Technical Advisory Committee is responsible for developing goals and objectives for the plan, as well as prioritizing projects for inclusion in the plan. This committee also provides technical expertise for the various transportation subjects included in the plan. The Technical Advisory Committee is made up of a diverse group of representatives from the region.